The weak pound is likely to affect the choice of holiday destination in 2009 according to ABTA, which represents travel agents and tour operators. Sterling fell by more than 30% against the euro and the US dollar last year. Egypt and Turkey, with lower living costs, are likely to benefit and both countries saw increases of more than 30% in visitors from the UK last year. Mexico, Cuba, Dubai, Croatia and Australia are among other destinations predicted to do well this year. Spain is the most popular destination for British tourists with around 12 million holidays taken there each year. Around seven million holidays are taken in France with more than two million in the US and Italy. Around 1.3 million are currently taken in Turkey. Then we suggest one thing. . . . Discounts and special offers besides expert advice on how to save money on your next car hire booking with us. To sign up only takes a few seconds but it will bring you great benefits. 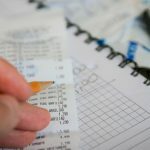 It will help us a lot if you share this article. Tweets, Likes and + 1s help to make Google take this article seriously and make it available to other travelers as well . . . like to give us a hand? Many thanks in advance. 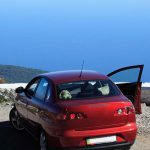 How can car hire be cheaper than bike rental?